Heng Long 1/16th RC Tanks? Discussion in 'Modelling' started by von Poop, Jun 24, 2010. They are ok as R/C models go, but a little hard to control the speed as the controls are very light. The Tiger I looks very authentic, but the Panther is a little wrong at the front end. There is a Heng Long club. Take it you've tried/owned one then Tom? Steel tracks/gearbox, or the standard ones? Bit suspicious of the price when compared to the Tamiya ones... but the Tamiya ones are just too much money to justify. I forgot to say that I bought a Tiger a few years ago, which the girls even liked playing with. The tank comes with a tough flexible plastic linked track, which can be replaced by metal at quite a cost! To me it is a little too unrealistic as it is too fast, but great for children. With those of a mind and with the right skills I am sure that you could perhaps exchange the gearboxes or gearing. So it didn't just break. - That was my main concern, mostly based on that 'reasonable' price. The product comes well packed, but I seem to remember the instructions advising not to run in wet conditions. Looking at the videos available, mud and puddles appear to be not an obstacle. I wouldn't buy anything with a brand name like that, one never knows what's going to come up behind you! Von. 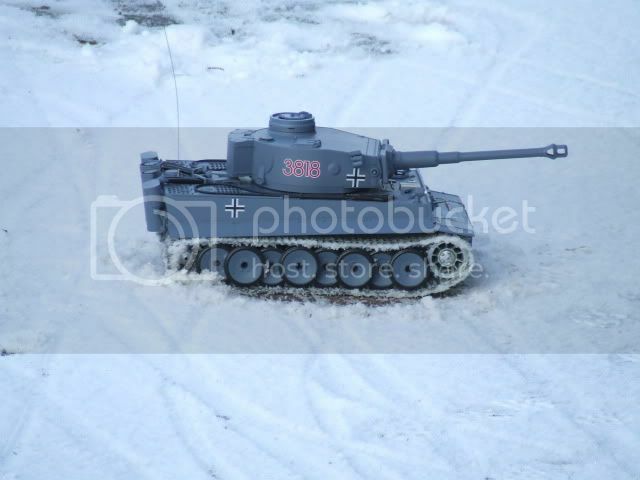 i have the tiger one and the Panzer 3...with the metal upgrades... the quality is quite good. 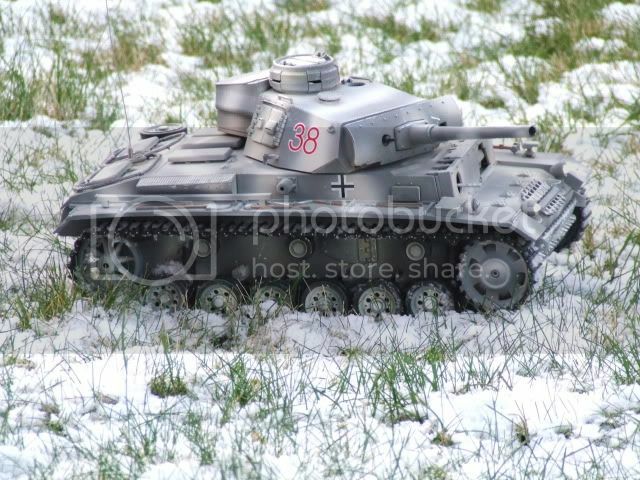 there are endless lists of scale upgrades different ratio gearbox's the lot...... my panzer is painted up in Kursk colours and looks fantastic. plus with the smoke and sound its a great gimmic for the kiddies. unfortunately i am busing making this thing work again so the models have gone on the shelf.. I think that a 1/6th bren Gun carrier would look great. It would go well with my Stuart. Rich, looks like your 1:1 scale is coming on nicely. YouTube - Scratch Built 1/6 Bren Gun Carrier. excelent i thought the driver and gunner shaking their heads at the commander was a good touch.....the model is excelent, but if i was to be critical there are a few errors with it. But unless you were a total rivet counter you would never know.....I asked the guy how much for one.......20k price tag !!! you can buy the real thing to restore for less. mind the hours it must have taken to complete would have been imense i bet. The tracks are off the henglong tiger.. along with the smoke unit and engine sounds. This all started with a thread by Clive regarding a model magazine that had started with the promise to build up a 1/16 scale Tiger Tank. 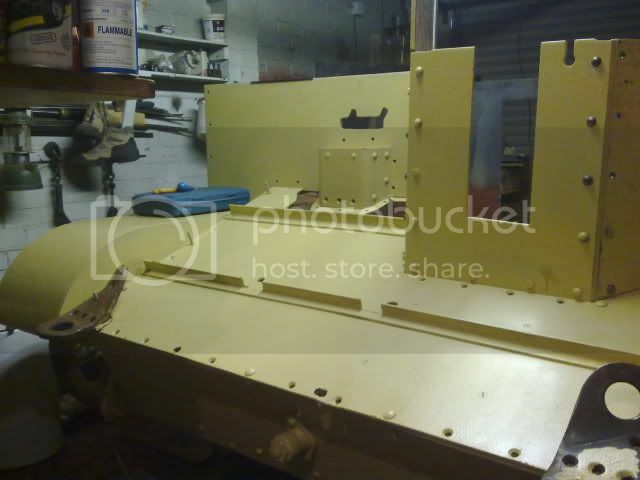 There was an introductory offer for the Barrel and mantel parts to start off and Clive posted photographs of it. Is it happened I had a couple of heng Long R/C tanks up in the attic after the girls lost interest and I started to dabble with 1/6 scale. A Tiger I and a Panther. The Panther front end being completely wrong. The Tiger I had a slightly damaged barrel and so I thought of a project to produce a later model Tiger, using the cammander cupola from the Panther and try and obtain a barrel from the magazine offer. I made contact with Clive and asked if it was possible to see if there were any issues left with the barrel. Clive being Clive, offered the barrel he had and posted it to me, which arrived on Friday morning. 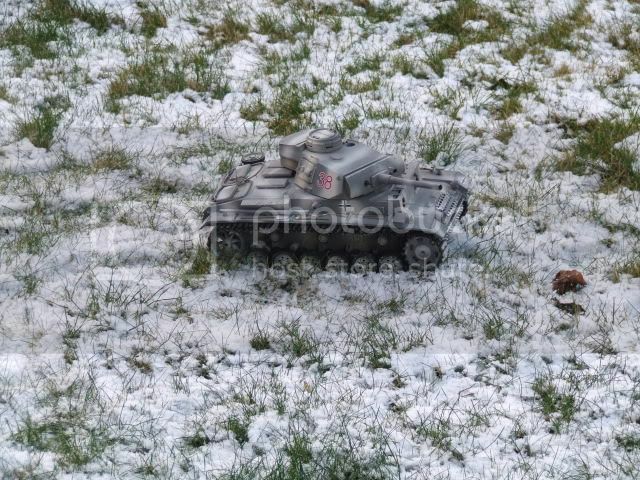 I immediately set to work to see how viable my idea was and dry assembled the parts after taking the Tiger to pieces. Unfortunately my health and safety rules went out of the window and as I was attempting to take off the plastic around where the old cupola was the blade slipped and I managed to slice my left first finger. After calmly visiting the bathroom and cleaning the cut I stopped the bleeding by making several small butterfly plasters and applying them, followed by a covering plaster. periscope commanders cupola in place. It looks a little tatty at the moment but should clean up well before painting. I had to manufacture a spacer plate between the new gun mantel and the mechanism inside the turret, but when all is fitted together later it should all still work (I hope). Anyhow, here are a few photographs to show you progress so far. Even though the model should work when finished, I intend it more as a static model. I will provide updates as and when I make further progress. With reference to the above post I found that this Tiger Tank website was full of information useful to modellers and Tank minded people. I now have a few examples of the mid production Tiger that I can decide to model.